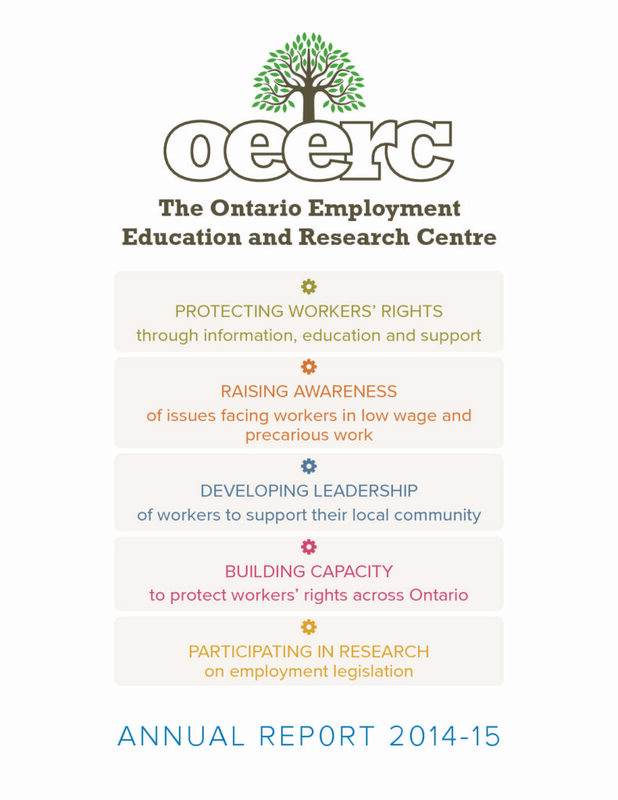 The Ontario Employment Education & Research Centre (OEERC) is committed to improving public education and awareness on workplace legislation, as well as developing and implementing much-needed supports and strategies for workers who have experienced violations of their rights. The impetus to establish this charitable organization arose from grassroots groups and a wide range of community organizations. Through their research, outreach and front-line experience, it became clear that it would be invaluable to have a charitable organization whose mandate was to focus on providing public education on employment legislation, as well as much-needed support to workers experiencing violations of their rights at work. Working with our community partners, the OEERC supports a wide range of program initiatives — protecting workers’ rights through a telephone hotline, free clinics, and one-on-one support; educating workers on their employment rights in the workplace through workshops, printed materials and on-line resources; raising public awareness on issues affecting workers; and supporting the development of community leaders to strengthen the ability of diverse communities to know and protect their rights. 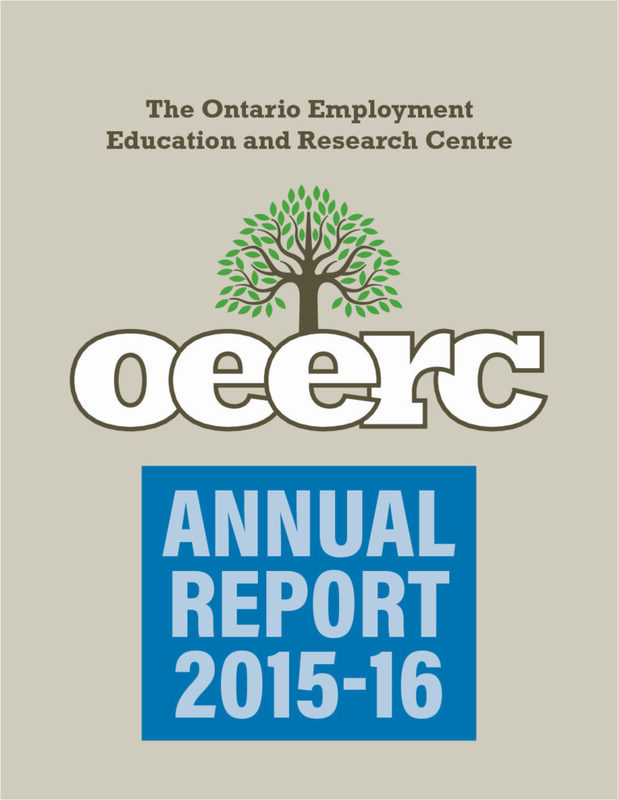 See our Annual Reports for more information on the scope of our work. Our work is guided by the principles of increasing accessibility and strengthening communities.